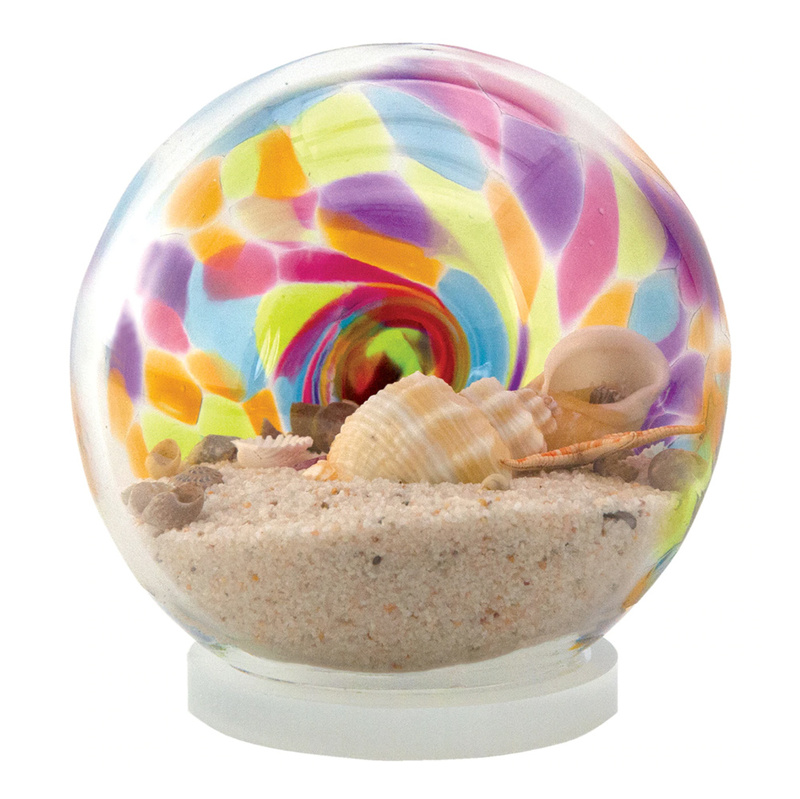 Sea Globes are a collection of tiny shells and sand encased in a lightly rippled glass ball. Each one is handcrafted and unique. The shells inside vary from itty bitty starfish to classic oysters.